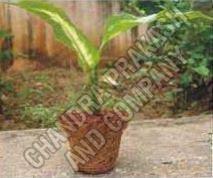 The company is the leading Manufacturer & Supplier of Coir Seed Germination Cup. The Coir Seed Germination Cups have a pot structure and are eco-friendly, bio-degradable & air porous. These Coir Seed Germination Cups are used for seed germination for the transplantation purposes and are competitively priced.